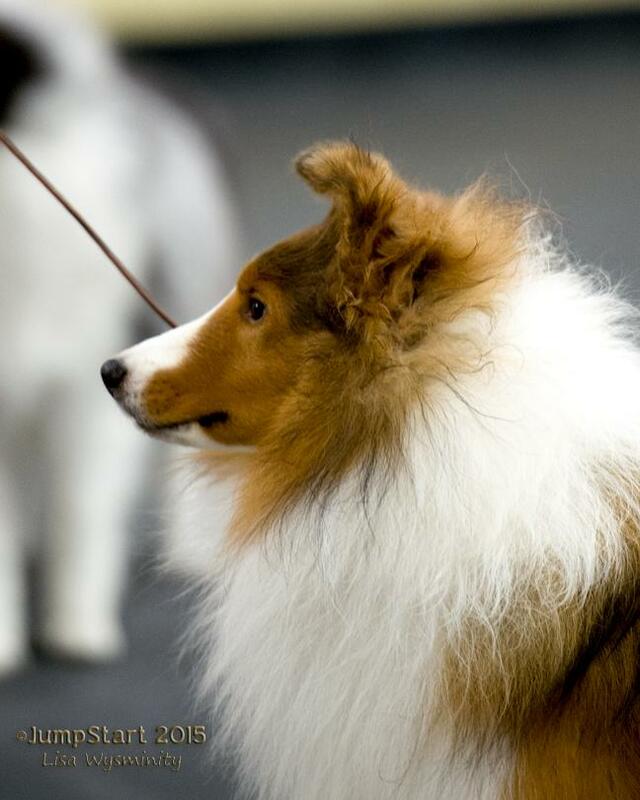 Our beautiful red boy Bowen represents the last of of our Magic and Bailey lines. He has the soft loving temperament that we love, to go with his wonderful, proper body proportions and sweet sweet face. His movement is sound and effortless and we love his elegant outline. We have high hopes for a long and successful career for Bowen. 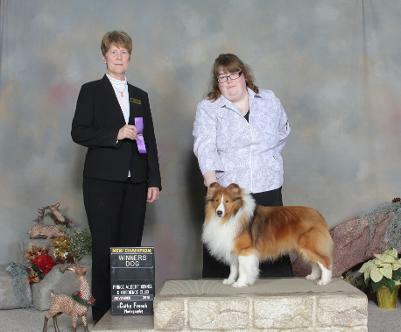 Bowen finished his Championship in greand style taking 8 points in 2 days at the Prince Albert Show! Thank you to Judges A Ewles, G Forsythe and H Langfeld for awarding Bowen this weekend! Bowen has only been out to the shows twice but has done very well for himself so far! 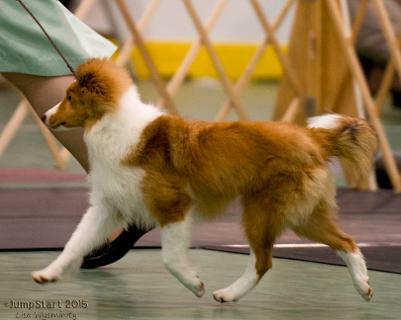 At 5 months old he was Best Baby Puppy in Group at the Saskatoon kennel club show under Judge Wendy Paquette. 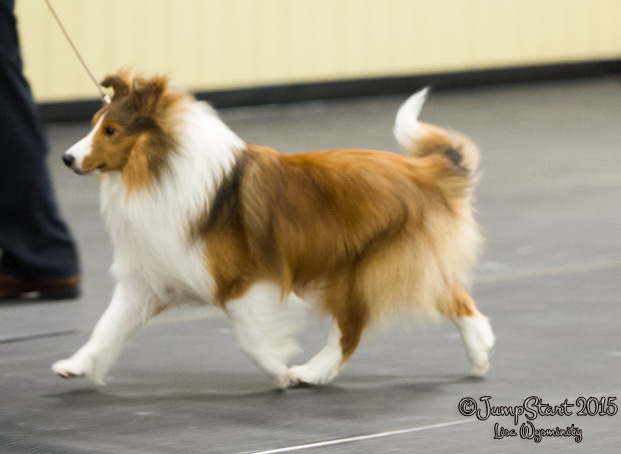 At 11 months old he was reserve winners male under Judge Judi Shurb and then winners male at the sheltie booster under Breeder Judge Grant Townsend for his first 2 points at The Prince Albert Kennel Club . 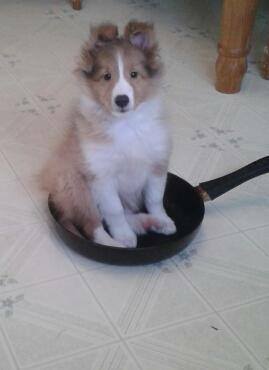 Bowen at 10 weeks helping out in the kitchen (below). Love these pictures of Bowen here he is Pictured at 4 months old (Left) on his way to best baby puppy in group at his first show and then again at 11 months (Right) moving to his first win.